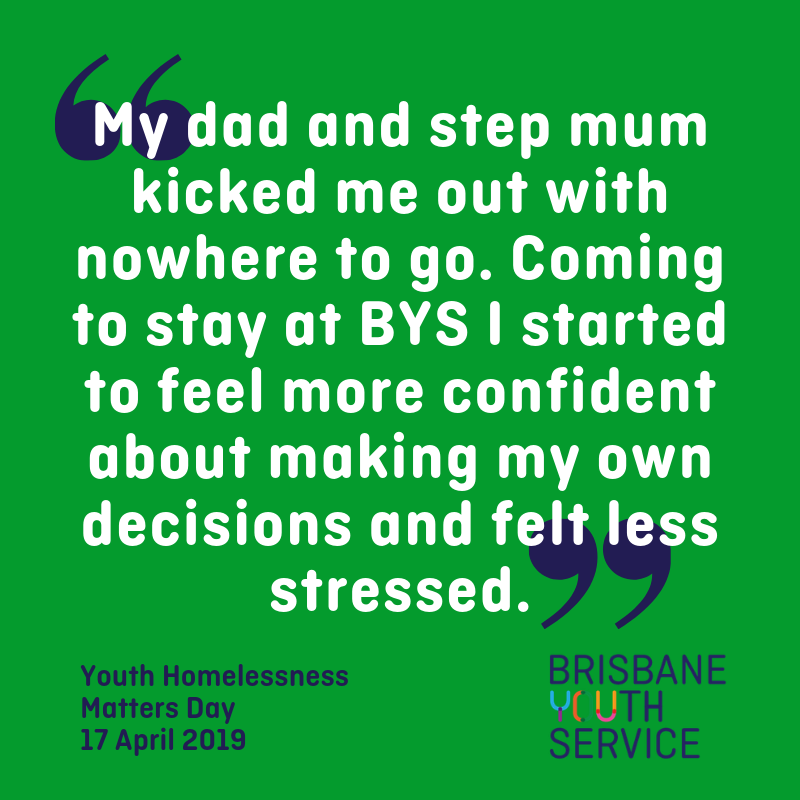 “It’s easy to make assumptions about homeless young people if you’ve never experienced homelessness yourself. Withhold judgement and listen to young people with lived-experience. 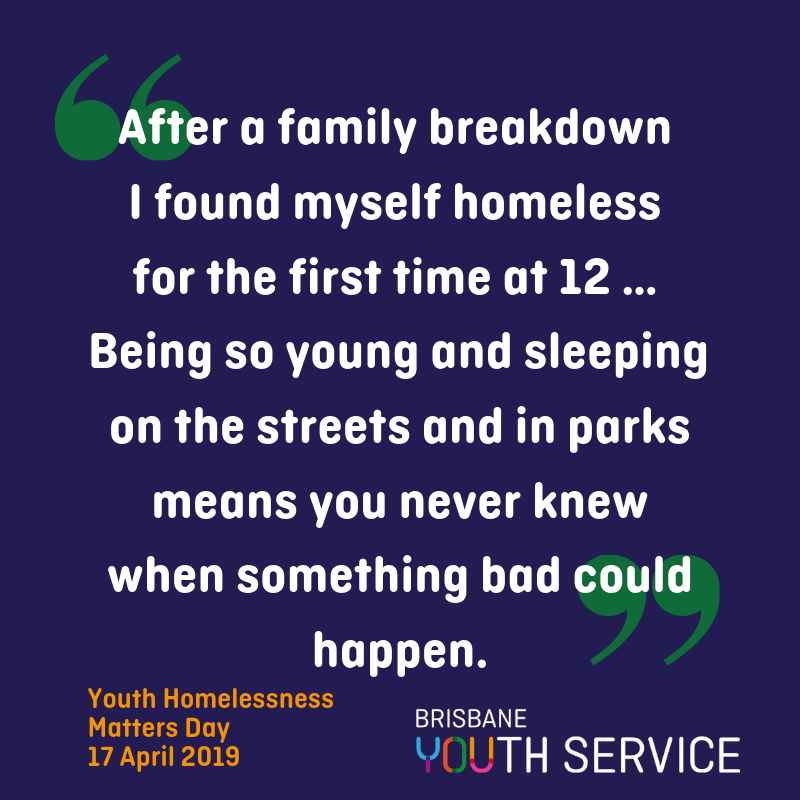 Youth Homelessness Matters Day is on Wednesday 17 April 2019. Youth Homelessness Matters Day (YHMD) is a national campaign, held annually since 1990, aimed at raising awareness of youth homelessness amongst decision makers and the wider community. 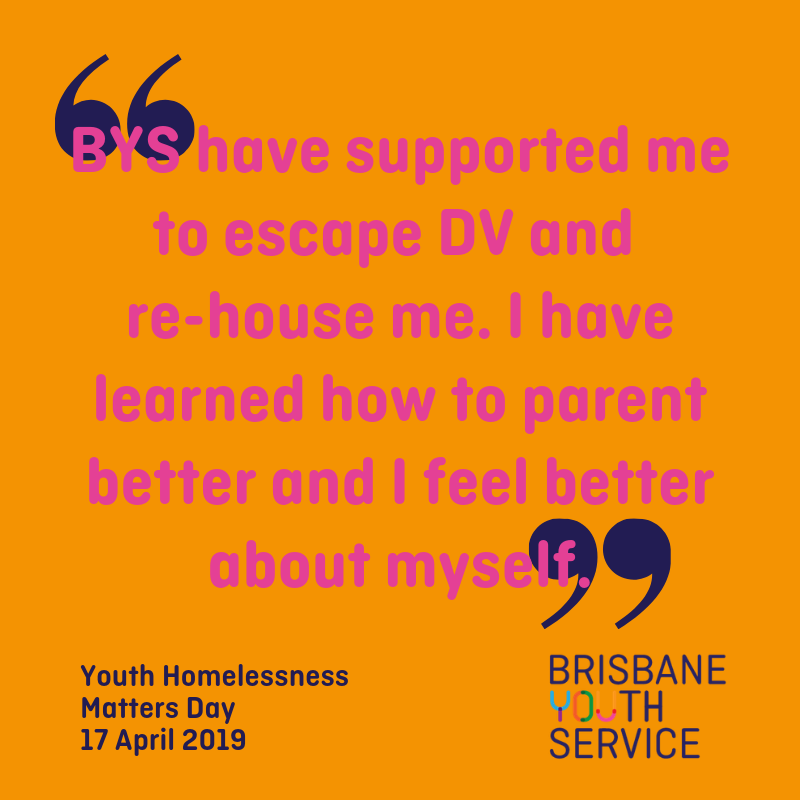 YHMD is a project of the National Youth Coalition for Housing. More than 28, 000 young Australians do not have a home. In most instances, they do not have a home because they are escaping conflict and violence. They find it almost impossible to find a home because of the housing affordability crisis in Australia. 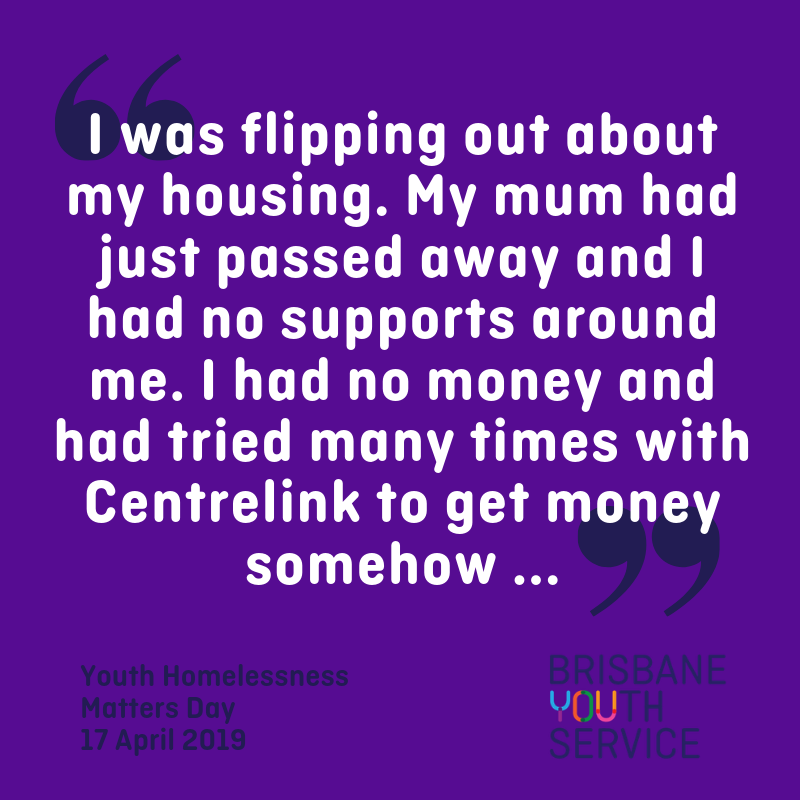 The vast majority of young people experiencing homelessness are hidden from view in refuges, couch surfing situations and sleeping in cars with their family, but their experience is very real. 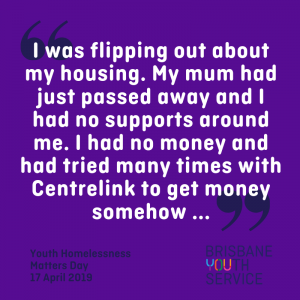 Youth homelessness is a national disgrace. 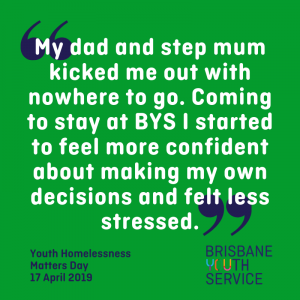 To end youth homelessness we need a national plan. Pitifully low Youth Allowance payments, rising rents inflated by the housing crisis, insufficient supports for young people leaving state care and a lack of employment pathways for vulnerable youth have all combined to create a perfect storm in which young people are increasingly likely to fall into homelessness. 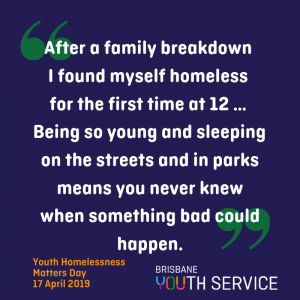 This Youth Homelessness Matters Day we are calling on political leaders to commit to a national plan to tackle the homelessness amongst young Australians.